Directed by debutant Karthick Naren, Dhuruvangal Pathinaaru (D16) is a riveting thriller suspense movie that is bound to keep the audience guessing. Possibly one of the best films of 2016! 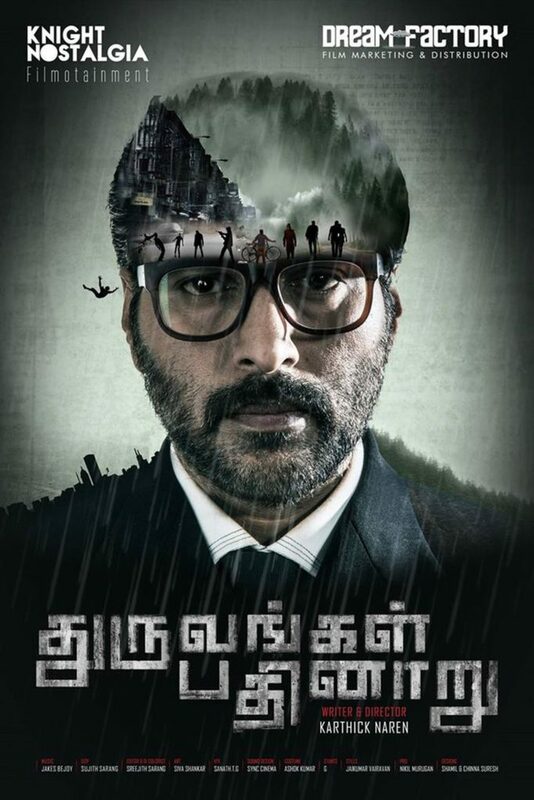 Dhuruvangal Pathinaaru (D16) is a Tamil thriller movie which was written and directed by Karthick Naren. Knight Nostalgia Filmotainment has produced the movie. The movie features Rahman in leading roles and actors like Prakash Raghavan, Sharat Kumar, Praveen Kumar and Yaashika Anand have acted in supporting roles. Jakes Bejoy had composed the music for the thriller movie. Sujith Sarang has looked after the cinematography work and the editing part was made by Sreejith Sarang. Dream Factory has made the distribution of the movie in Tamilnadu. The movie’s first look was released by director Gautam Vasudev Menon through a poster in January 2016, while Madhavan had released the storyline poster and AR Rahman had released the trailer of the movie which has got good response among the people. The movie starts with a crime and many will think it will be a normal killer movie, but after seeing the title it is proved that the movie will be something different and which has to be watched. The movie will be little complicated but it’s an engaging story. The movie is full of suspense and thrilling aspects. The movie is a matured story which has come from a new director Karthick Naren who is just 22 years old. The audience is kept guessing about few scenes and even after the completion of the movie there will be a lot of talk about the film. Rahman has acted excellently for the story and the other actors have also done justice to their roles. The movie has a moralizing end and the director’s making will be appreciatable. The background score is made very well and is an integral part of the story. The cinematography work is also to the satisfaction of the audience. Overall, a good thriller from the debutante director and possibly one of the best films of 2016!